Utah is special because of their great fishing streams. You can fly fish close to Park City on the Provo River, or you can take your shot at the famous Green River. Both of these streams are known all over the world. Utah has great scenery from the tall mountains near Salt Lake City to the canyon walls through the south of the state. Within all this beauty is a great supply of trout. Many of the rivers produce some healthy fish that average 17”, which is a great size to catch with a fly rod. fly-fishing guides available to show you a good time. The Provo River located about 15 miles from Provo is a great trout stream loaded with above average size trout. The best section of the river for fly-fishing is the upper section, which is about 30 miles from Park City. 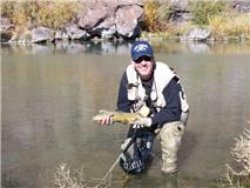 The Green River starts just below Flaming Gorge Dam, and the first 7 miles below the dam is known throughout the world as a great trout stream. The river is full of Brown, Rainbow and Cutthroat trout. 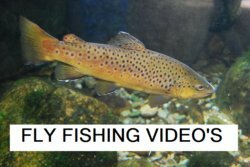 The river is full of large Brown trout averaging 17” or better. Do you like exploring the gorges and mountains? Visit http://www.gorges-to-visit.com/FlamingGorge.html for information about some of the best gorges to visit in your area! The Logan River has about 30 miles of fishable water alongside HWY 89 starting northeast of Logan Utah. This is one of the best trout streams in the country. 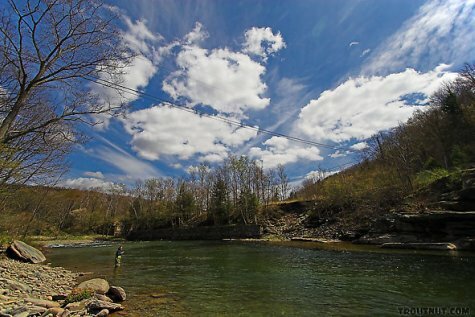 There are three dams along this river that are stocked and provide great fishing for the beginner. The Weber River comes out of the Unita Mountains and heads for the big cities below. It is a classic mountain stream with clear water, and it is close enough to the city to be a local favorite. This is one of the larger streams in the area, it may not have the best fly-fishing for the experienced angler but it is close enough for the beginner to learn some good skills. Huntington Creek begins at Electric Lake. Just below the reservoir is a very challenging location because the water is crystal clear and the fly-fisherman needs to make perfect casts. Huntington Creek is remote enough to give you some solitude, but great enough to keep bringing you back for more. There are wild Brown trout and Cutthroat along with stocked Rainbow that give you a nice taste of fly-fishing. 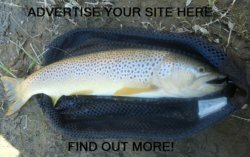 Utah is a great page to fly fish, click here to choose another state.